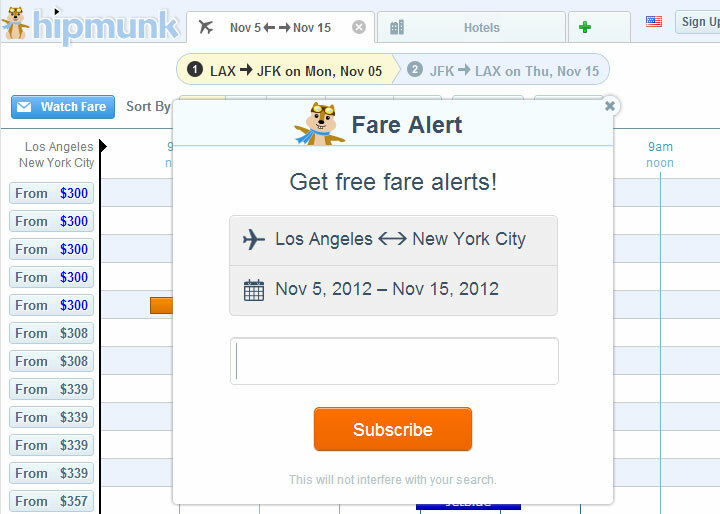 One of our favorite travel booking websites, Hipmunk, got cooler by offering free fare alerts. Search for a flight and just enter your email at the “Watch Fare” option (if it doesn’t show up automatically) and get notified as soon as cheap airfare is available. Although Bing Travel has the option of a price predictor, it doesn’t offer any alerts to your email if the price gets lower. This makes Hipmunk even more competitive with sites like Kayak and FareCompare.